A late winter storm closed down the college where I work today. 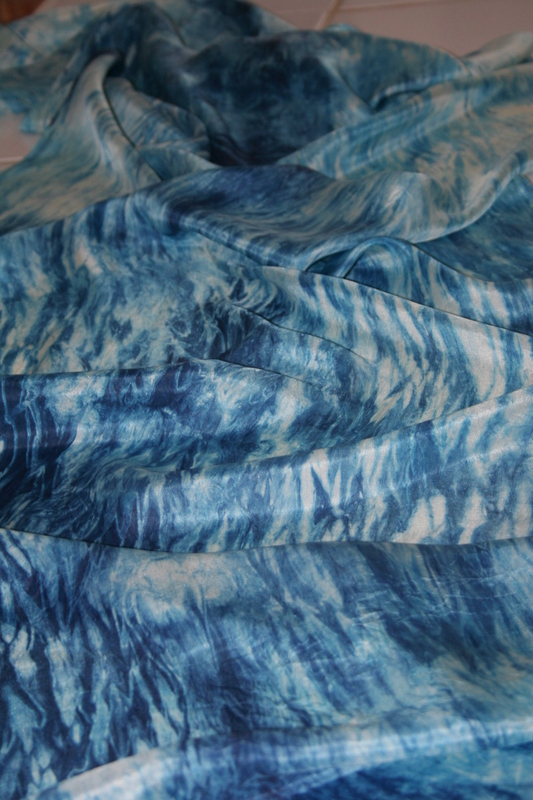 I took advantage of the free time by mixing up a vat of indigo and dyeing a length of china silk using the arashi shibori method. 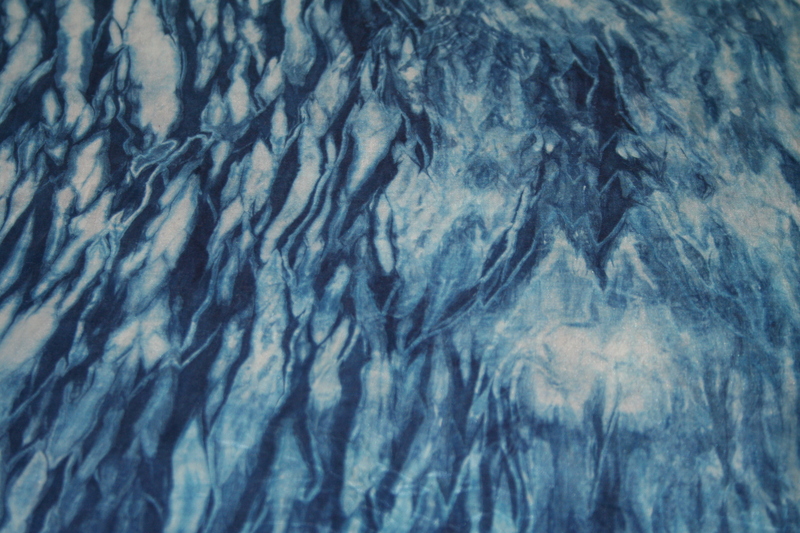 I think it will become a lovely scarf! This entry was posted in surface design. Bookmark the permalink.